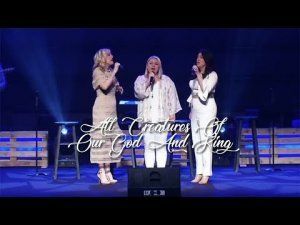 The all-woman group Point of Grace have been bringing us great contemporary Christian music for over 2 decades. Although the line-up has had a little bit of a change over the years and they have gone from being a quartet to a trio since the early 00's, they are still one of the top-selling Christian groups. Their last album was released in 2015 called "Directions Home" and it was an album of cover songs. Possibly because that album was so well received they have decided that this album will be hymns and worship songs. 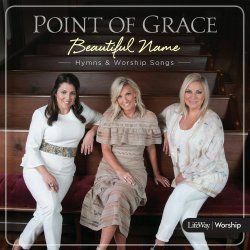 Many established US artists have gone down this road before, so can Point of Grace do something that stands out in the marketplace without just bringing us the same re-used country-infused hymns? They kick off the album showcasing their voices in beautiful harmony as they start "All Creatures of Our God and King" before some simple beat and gentle guitars kick in. The gentle backing and vocals continue into "He Leadeth Me" which speaks of the leading of God in our lives, but also our surrender to trust him through the various issues we have to walk through. 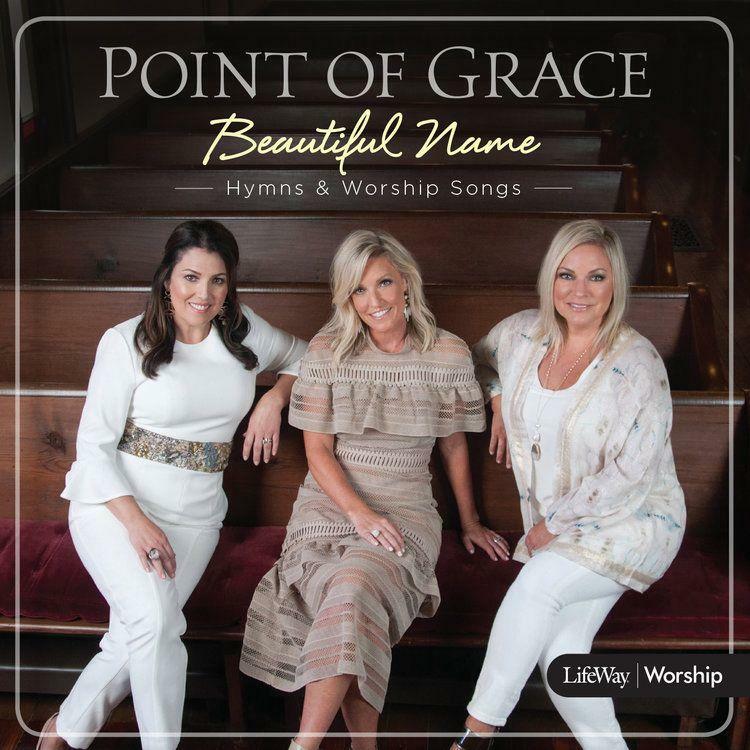 This album is a bit like the hymn book of Hymns Ancient and Modern, as that track is from 1864, but then the album brings things up to date with an impressive version of "What A Beautiful Name" from 2016. "The Power of Love" is a song that I am unfamiliar with, as it looks at the power of God in our lives, this song shows the seemingly impossible things that God can do. This song goes straight into a powerful rendition of "Holy, Holy, Holy" a song that has been covered in similar ways by many different groups and Point of Grace doesn't bring anything particularly fresh to this hymn. The classic revamped hymn of "Cornerstone" bridges the gap of old hymns and modern choruses. This track is punctuated with the the percussion that is slightly dominant and a little off-putting through the verses, thankfully it disappears in the chorus. "Praise to the Lord" brings a brilliant version of this classic song with each of the vocalists bringing their influence on the different versions with the others bringing their vocal backing. It's got a nice and harmonious feel to the song and it showcases the ladies talents nicely. The next song "How Beautiful" showcases how these voices blend together to give a brilliantly uplifting track, it's an inspired choice, written by Twila Paris and magnificently performed. "Blessed Assurance" is a track that often feels like it needs a rumbling bass behind it to bring out it's power, but this gently teases out the faith and passion behind these words. The final hymn is a modern classic that many people have covered. 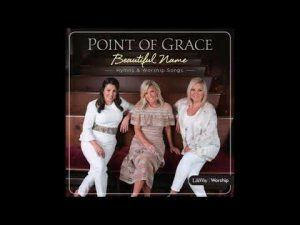 Point of Grace have brought something new to "In Christ Alone (My Hope Is Found)", when you are used to a male vocal, or a mix, the all female blend brings different emphasis from the song. If you are used to this kind of hymnal worship from Christian artists then this album sits alongside them quite comfortably. It's got some interesting song choices, but there are a few that have been done by just about everyone, such as "Holy, Holy, Holy" which doesn't really lift itself above other offerings. Yet other choices like "The Power of Love" and "How Beautiful" really are inspired and sound fantastic. With more hits than misses this album has a lot to recommend it and it's definitely something you wouldn't object to listening to over and over again.